I don’t know how it is where you live, but in Colorado, it looks like we’re about to swing right out of winter! Today it’s 70 degrees, sunny, and totally perfect. That being said, I’m starting to crave those summery treats that I’ve been missing out on all winter, and you probably are too! 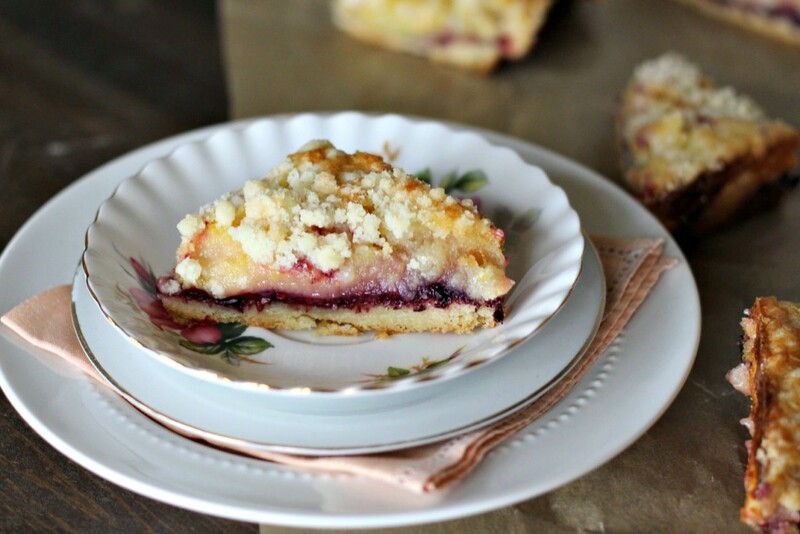 Enter berry lemon crumb bars. I used to work a coffee shop for several years through college, and we served a lemon bar with a a layer of tart berries, and a delicate crumb topping, which is where I got the inspiration for these! Now, I have no idea how those ones at my coffee shop were made- we had them shipped in frozen every week- but I do know how I’ve always made traditional lemon bars, so that’s where I’ve started. 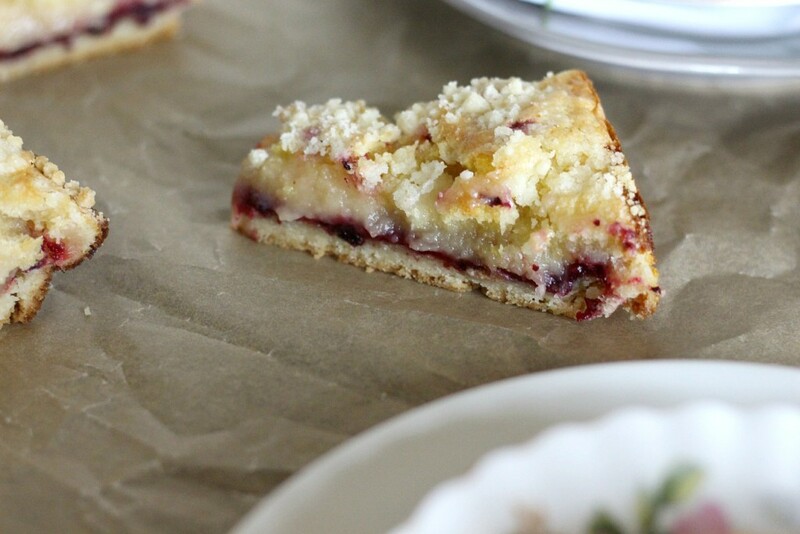 These sweet and tart little gems start off with a super easy shortbread crust. 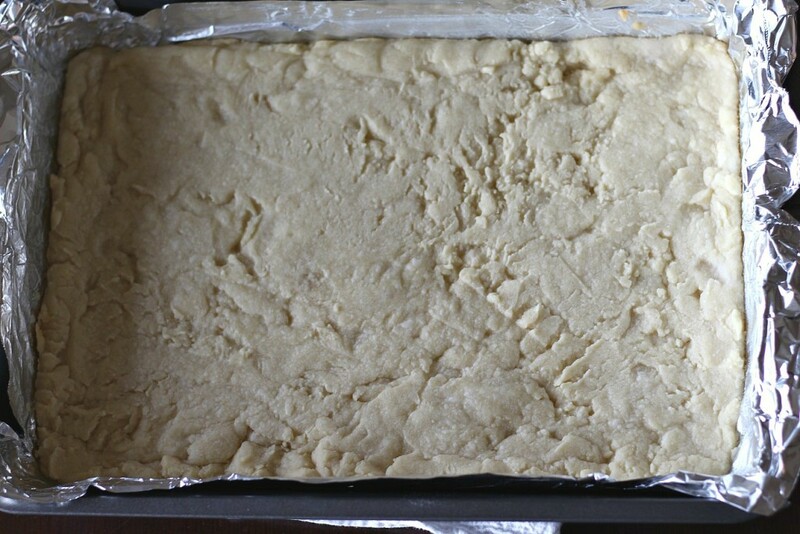 BTW, this same crust recipe can make the most amazing shortbread cookies! Just chill the dough for 30 minutes after mixing it up, and then roll, cut, and bake them until just golden! 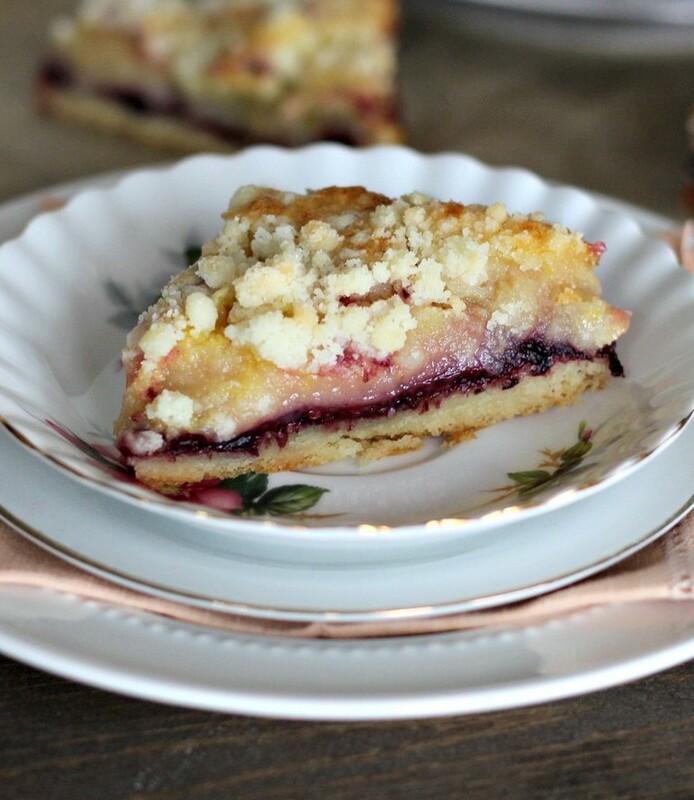 In the meantime, make a full batch of these lemon bars with sweet and tart berries, and a light crumb topping to hold you over until summer comes full on! 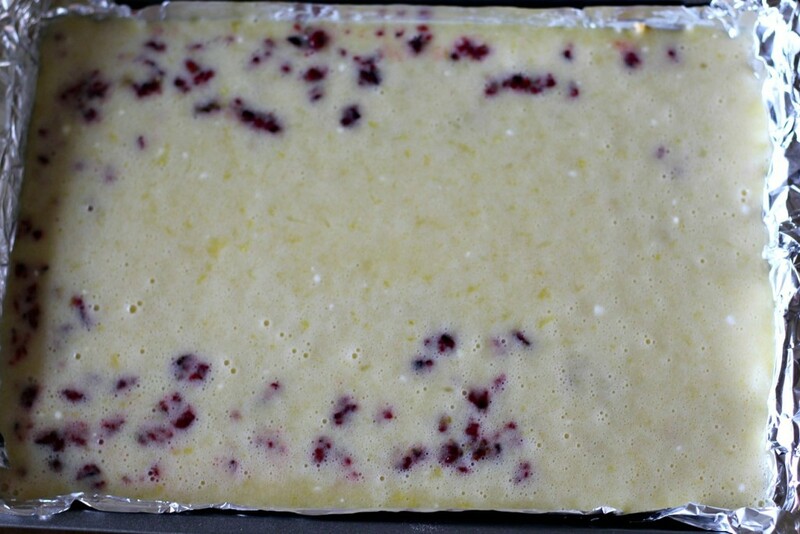 The berries add a whole other dimension of flavor that traditional lemon bars have never known, and you’ll love this variation on the classic! Preheat the oven to 350 degrees, and line a 9x13 pan with foil, and grease the foil. Dump the dough into your lined pan, and press down until the dough evenly coats the bottom of the pan. Bake at 350 degrees for 10 minutes, and then pull out and cool. While the crust is cooking and cooling, place the berries, cornstarch, sugar, and lemon juice in a small saucepan over medium heat. 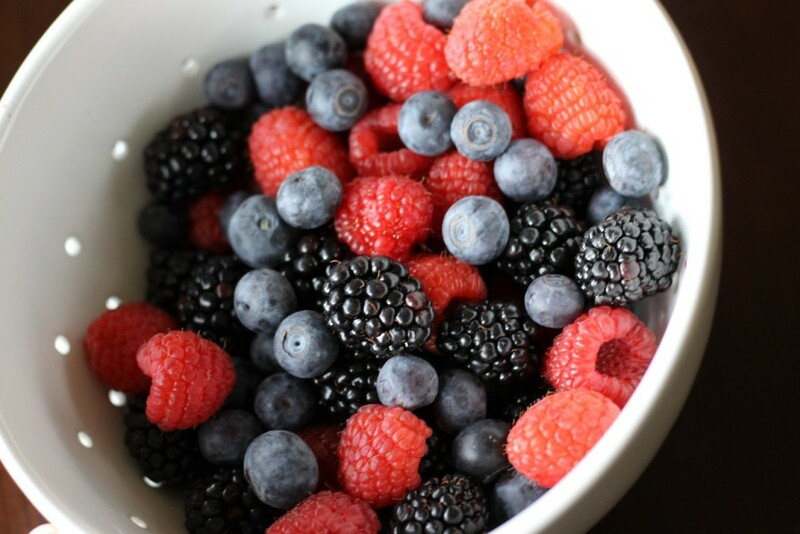 Cook until the berries have softened. 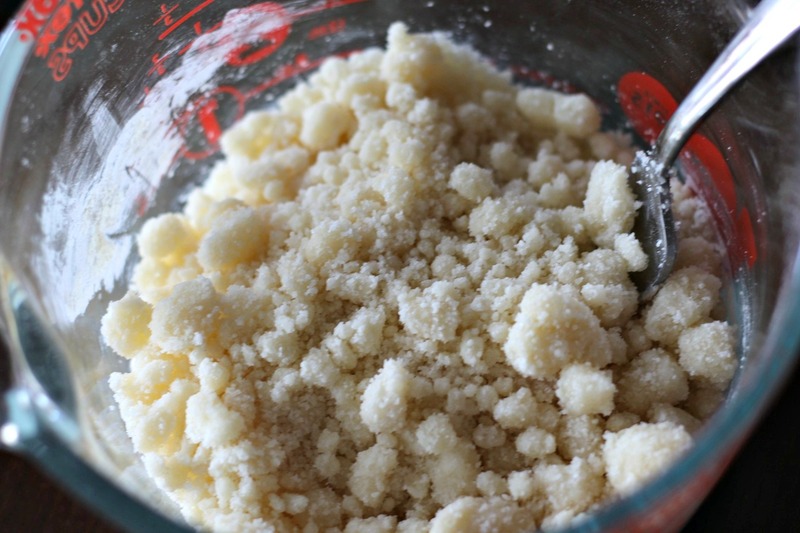 Puree the mixture in a food processor or blender until just chunky, not completely smooth. Pour the berry mixture over the crust and spread evenly. Simply whisk everything together until completely smooth! 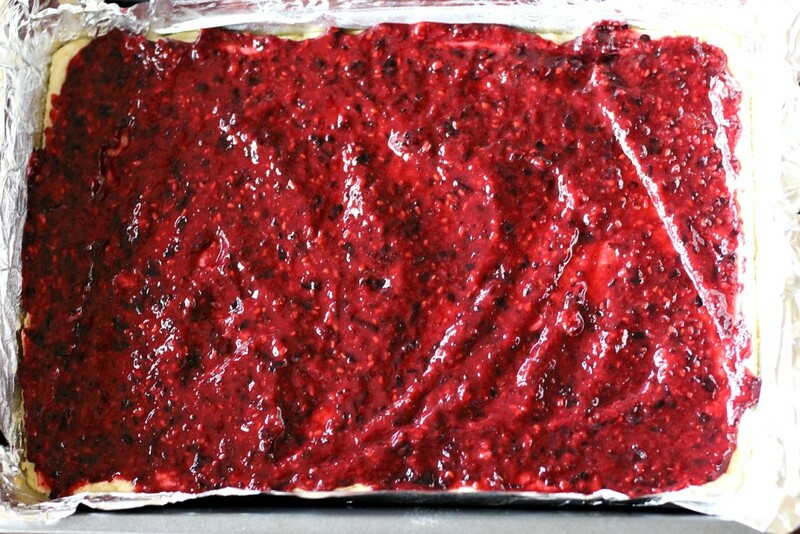 Pour the lemon filling over the crust and berries, and place in the same 350 degree oven for 10 minutes. Mix together the flour and both sugars. Pour the melted butter in, and stir with a fork until crumbs form. After the bars have baked for 10 minutes, pull them out of the oven, and sprinkle the crumb topping all over the top. Return to the oven, and bake for 35-40 minutes, or until the lemon filling has set. Cool completely before cutting and eating!